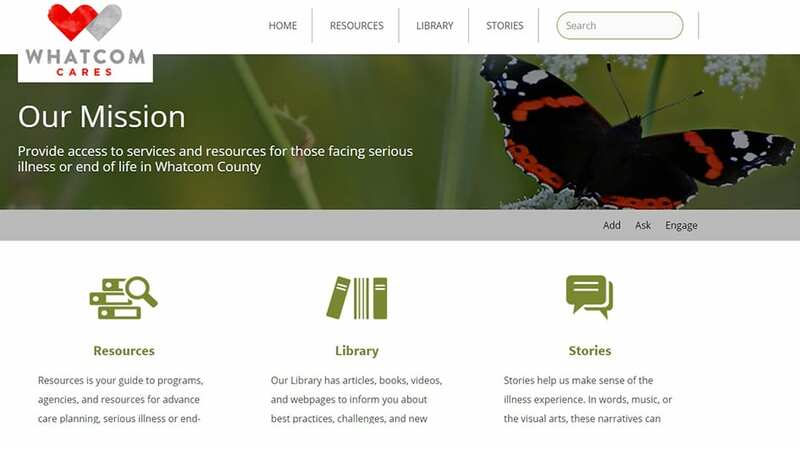 WhatcomCares provides current comprehensive online information and better access to services and resources for those living with long-term chronic or serious illness or facing end-of-life in Whatcom County. The site is managed by the Palliative Care Institute at Western Washington University. Customized theme created for WordPress. Directory or resources with three types of content; Resources, Library & Story Items. Ability for the public to submit Resources, Library or Stories through the website for inclusion into the website. Administrative area managed by many users to easily add, edit and approve directory items. Standard for all sites built by Highwaters is SEO for each page and post. Is it Time to Install an SSL Certificate (https) on Your Website?